Six teams from North America will once again take on six rivals from the rest of the world over the four-day competition in curling’s version of the Ryder Cup. 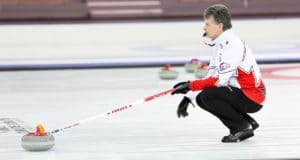 The teams will play a unique blend of traditional curling games, mixed team play, skins competition and mixed doubles games. While Team North America is on a six-event win streak, Team World is poised to make some noise with one of its strongest lineups yet and is looking for redemption after last year’s loss that came down to a tiebreaking draw-to-the-button. 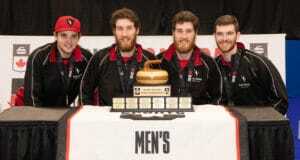 The foursome throwing that game-winning draw, reigning 2018 Tim Hortons Brier and world men’s silver-medallist Team Brad Gushue (St. John’s, N.L. ), returns to the World Financial Group Continental Cup. It will be joined by 2018 Scotties and world women’s champion Team Jennifer Jones (Winnipeg) and Canada’s men’s and women’s representatives at the 2018 Olympic Games, Team Kevin Koe of Calgary and Ottawa’s Team Rachel Homan. 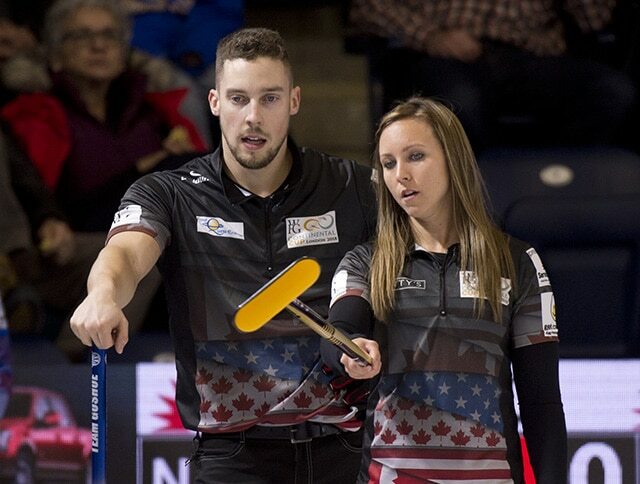 Bolstering the Canadian squad are two U.S. teams skipped by 2018 Olympic gold-medallist John Shuster and Jamie Sinclair. Team North America is led by coach Jeff Stoughton (Winnipeg), assistant coach Jill Officer (Winnipeg) and captain Pete Fenson (Bemidji, Minn.). Four of the six teams from Team World are returning after last year’s tiebreaker loss. But coach Fredrik Lindberg of Sweden, assistant coach Christoffer Svae of Norway and captain David Murdoch of Scotland, are sure their lineup will use that loss as motivation to win their first World Financial Group Continental Cup since 2012. Olympic silver-medallist and reigning world men’s champion Niklas Edin of Sweden is seeking his third victory in his 11th consecutive appearance at the event. Joining the Swedes are two bronze-medal winning teams from last season on the men’s side. 2018 Olympic bronze-medallist Peter de Cruz of Switzerland returns after making his event debut in 2018. Scotland’s Bruce Mouat makes his World Financial Group Continental Cup debut after winning bronze in the same venue at last season’s world men’s championship. The women are led by Olympic gold-medallist Anna Hasselborg of Sweden, Eve Muirhead of Scotland and Silvana Tirinzoni of Switzerland. Teams will battle for the Cup with some changes to the event format. A total of 60 points will still be available to win, with the first team to earn more than 30 points being declared the winner. However, the event has expanded from three to five competitions. Teams will compete in two draws (one men’s, one women’s) of Traditional Team play, reduced from six. Each team at the event will play one game worth one point in the overall standings. There will be four mixed doubles draws, increased from three. Each player will compete in a full Mixed Doubles game, and each of those games will be worth one point in the overall standings. New this year are the Team Scramble and Mixed Team Play events, which put an emphasis on how curlers can perform with teammates they’d regularly play as opponents. In the team scramble, men’s and women’s teams will be mixed to form new same-gender lineups. However, front-end and back-end teammates cannot be on the same lineup. There will be one men’s Team Scramble draw and one women’s team scramble draw, with each game worth one point in the overall standings. The Mixed Team Play comprises two men and two women on a team. There will be one draw of Mixed Team play with two games featuring lineups of a male skip, female vice-skip, male second and female lead. The third game will feature a female skip, male vice-skip, female second and male lead. Mixed Team Play games will be worth two points each in the overall standings. The opening ceremony is scheduled for 8 p.m. on Wednesday at the Orleans Arena. The winning side receives $85,000 Cdn (shared among 24 players, coaches and captain), while the losing side gets $45,000 (shared among 24 players, coaches and captain). The 2019 World Financial Group Continental Cup is owned by Curling Canada and is being operated through a business arrangement with USA Curling and the Reno Tahoe Winter Games Coalition. You can download the event media guide by clicking here. Tickets for the 2019 World Financial Group Continental Cup can be purchased by clicking here. Team lineups are available by clicking here. Both teams will practise on Wednesday at the Orleans Arena. Team North American will practise from 1:30-2:30 p.m. PT, while Team World will practise from 3-4 p.m. All team members will be available for interviews following their respective practices. 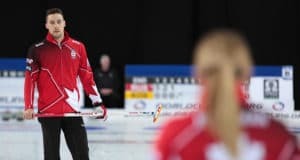 TSN (RDS2 in French), the exclusive television network for Curling Canada’s Season of Champions, will provide complete coverage of the World Financial Group Continental Cup. As well, live-streaming for curling fans in the U.S. will be available on ESPN3. Previous: GSOC Meridian Canadian Open kicks off in North Battleford, Sask.